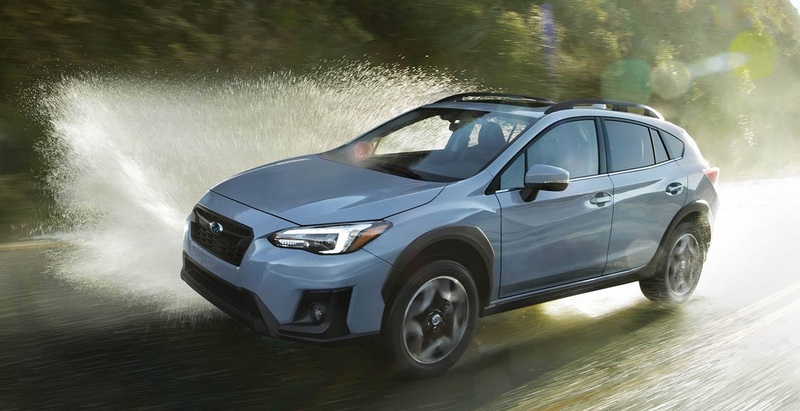 Redesigned for the current model year, the 2018 Subaru Crosstrek features three trims: the base 2.0i, the mid-range 2.0i Premium, and the highest-level 2.0i Limited. This latest edition of the small crossover is longer and wider with a roomier cargo hold. Subaru also states that the high-strength-steel platform is 70 percent stiffer, which leads to better stability, more agility around corners, and improved ride comfort. Get vehicle quotes to Denver Fort Collins Boulder Colorado by contacting Flatirons Subaru, your dealer serving Denver CO. The 2018 Subaru Crosstrek 2.0i Limited illuminates night drives with LED Steering Responsive Headlights that aim their beams where you steer, so you can more quickly see what's around the bend. Fog lights maintain visibility under misty weather. To ward away snow and ice on winter days, the windshield wiper has a de-icer and the side mirrors are heated. Two-speed windshield wipers clear the view with a variable-intermittent mode and a mist feature. Adding style and improving downforce at high speeds is a rear spoiler. 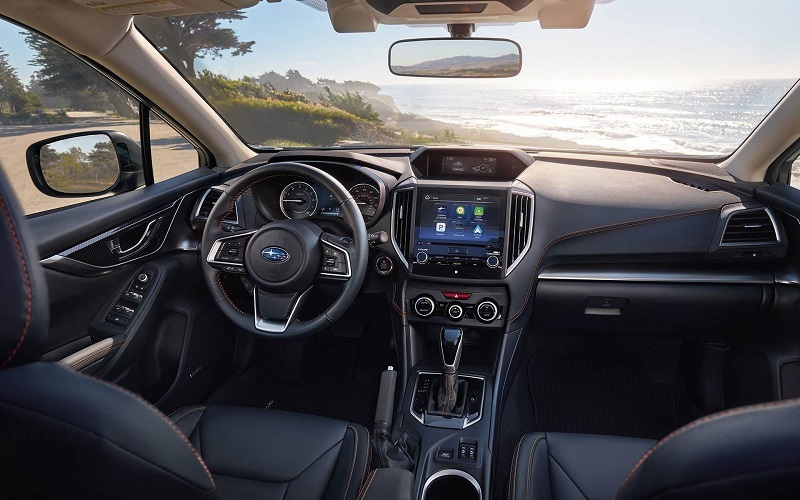 Accommodating up to five comfortably, the 2018 Subaru Crosstrek 2.0i Limited boasts a quiet cabin, thanks to the use of high-quality materials and an acoustic windshield to prevent road noise from coming in. The 60/40-split Rear Seats fold down so that cargo capacity jumps from 20.8 to 55.3 cu. ft. Power-adjust your seating position in six ways. Your front passenger gets four manual adjustments. Enjoy the feel of leather-trimmed upholstery that improves ventilation and is highlighted by orange stitching. The instrument cluster sports a 6.3-inch color multi-function display that reveals such operational data as average fuel economy, distance to empty, weather, heating and air-conditioning, and systems information. The CFC-free automatic climate control has an air filter. You can listen to music on the STARLINK™ 8-inch Multimedia Plus system, which hooks up to your compatible smartphone using Apple CarPlay™ or Android Auto™. Charge up using the 12-volt power outlet in the center console, which also has a storage tray. When you go shopping, you'll be grateful for the cargo-area grocery bag and tie-down hooks. You can conceal whatever you put back there using the retractable and removable cargo-area cover. To provide better handling with sharper responses, Vehicle Dynamics Control (VDC) with Active Torque Vector tracks steering and braking inputs so you're always headed on your desired path. Symmetrical All-Wheel drive distributes power for maximum traction. This gives you uniform stability, efficiency, quicker responses, and improved handling under a variety of road conditions. X-MODE® reduces wheel spin and improves traction on low-friction surfaces by optimizing transmission ratio and engine output, increasing all-wheel drive engagement, and enhancing the use of VDC. When you're heading down an incline, Hill Descent Control, which is part of X-MODE®, helps to maintain a stable vehicle speed so you maintain control. Driving becomes easier, especially on long distances, with Electric Power-Assisted Rack and Pinion Steering. When you need to stop, Brake Assist can apply maximum pressure on the 4-wheel disc brakes. If you step on both the brake and accelerator pedals at the same time, the Brake Override System reduces the effect of the accelerator pedal to help avoid unintentional acceleration. The 2018 Subaru Crosstrek 2.0i Limited near Denver CO relies on a 2.0-liter Dual Overhead Cam SUBARU BOXER® 4-cylinder with direct injection for more power and efficiency, and a Dual Active Valve Control System. The horizontally opposed layout lowers the center of gravity and provides a natural balance to deliver a better transfer of power. Performance reaches 152 horsepower at 6,000 RPM and 145 lb.-ft. of torque at 4,000 RPM. Maximum towing capacity is 1,500 lbs. The Lineartronic® Continuously Variable Transmission includes Adaptive Control and a 7-speed manual mode with paddle shifters. On a slope, its Incline Start Assist holds the brakes momentarily when you transfer your foot from brake pedal to accelerator so you don't roll down the hill. Ask a sales agent to point out more features of the 2018 Subaru Crosstrek powertrain when you visit Flatirons Subaru, your local dealer for quotes to Denver Fort Collins Boulder Colorado. EyeSight® Driver Assist Technology ramps up the safety for the 2018 Subaru Crosstrek 2.0i Limited near Denver CO. It depends on dual color cameras that are hidden near the rear mirror to monitor the road for potential hazards. Among its features is Adaptive Cruise Control, which lets you define how far away you want to be from the car in front. It automatically adjusts your speed based on how traffic is moving. To keep you on the correct path, Lane Keep Assist and Sway Warning alert you when you start to wander. Pre-Collision Throttle Management dials down the engine power if you're in danger of hitting something in front. Pre-Collision Braking can apply maximum brake force to prevent collisions. To help you when you back up, the Rear-Vision Camera shows you real-time video of what's behind you when you pull into reverse. 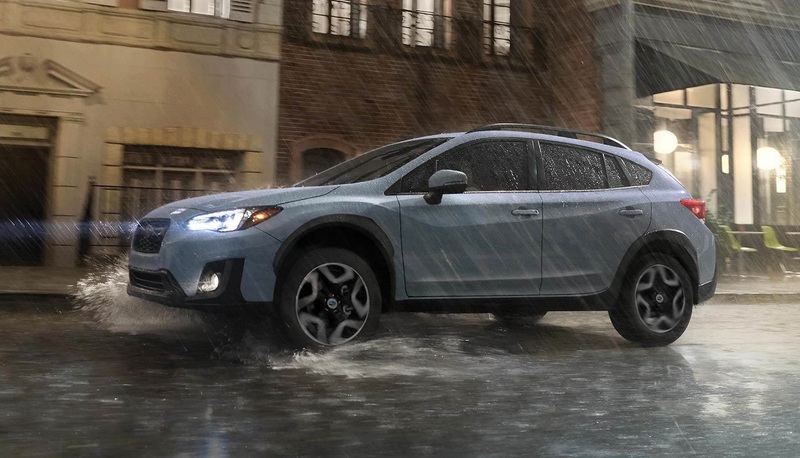 Your 2018 Subaru Crosstrek dealer serving Denver CO will be happy to explain all the safety features in detail. 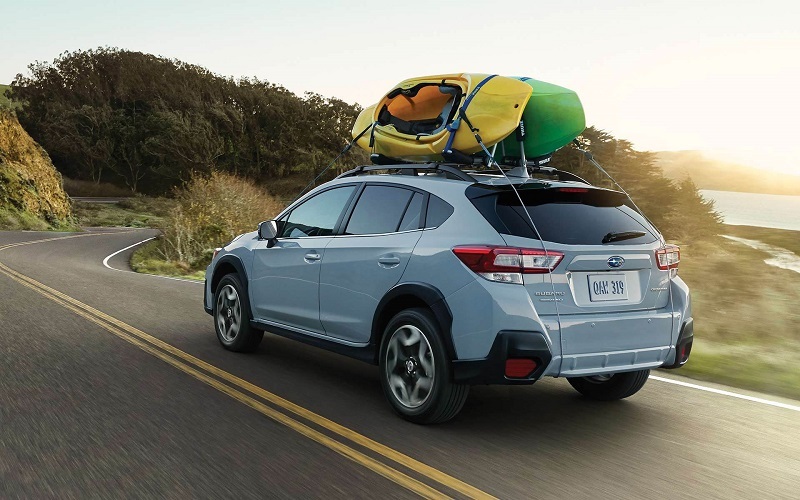 Find out for yourself the advantages of the 2018 Subaru Crosstrek 2.0i Limited near Denver CO. Contact Flatirons Subaru, serving Denver CO, for quotes to Denver Fort Collins Boulder Colorado. Then come to the dealership so our experienced sales consultants can take you on a test drive of the 2018 Subaru Crosstrek 2.0i Limited.